I photograph this every year, but the scene never seems to get old. Walt and Mickey, surrounded by jack-o-lanterns, gazing over their kingdom, which has taken on a spooky aesthetic. Halloween Time is a gorgeous time of year, particularly during the nighttime, and anywhere I can get those crisp autumn shots after dark, I will! 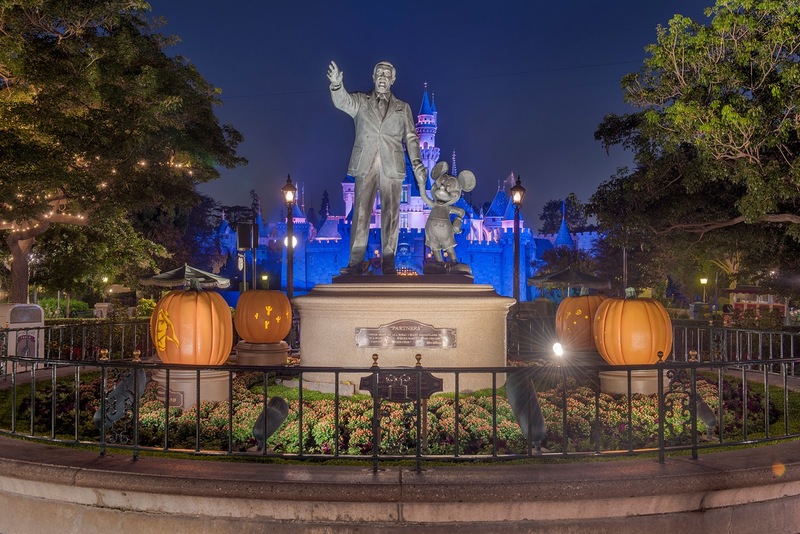 Pumpkins, Partners, castle, and Halloween.